In this blog post, I’ll show you how to enable auditing on an Exchange Online shared mailbox and how to see who has accessed it. Shared mailboxes are useful resources but are not audited by default. To enable auditing, you need to use PowerShell. The first step is to authenticate to your Exchange Online tenant using an account that has permission to change audit settings, like an Office 365 Global Administrator account. The code below gets the user credential and then creates a session using Import-PSSession. If you want to use multifactor authentication to connect to Exchange Online, you’ll need to use the Exchange Online Remote PowerShell Module, which can be downloaded from the Exchange Admin Center. Once you’ve connected to Exchange Online, use the Set-Mailbox cmdlet to enable auditing on a mailbox. The command below enables auditing on a mailbox called SharedMail. Once you’ve finished running PowerShell commands, use Remote-PSSession to disconnect from Exchange Online. Now that auditing is enabled, you can run a report in the Exchange Admin Center to list who is accessing audited mailboxes. Log in to the Exchange Admin Center (EAC) here. On the left of EAC, click compliance management. 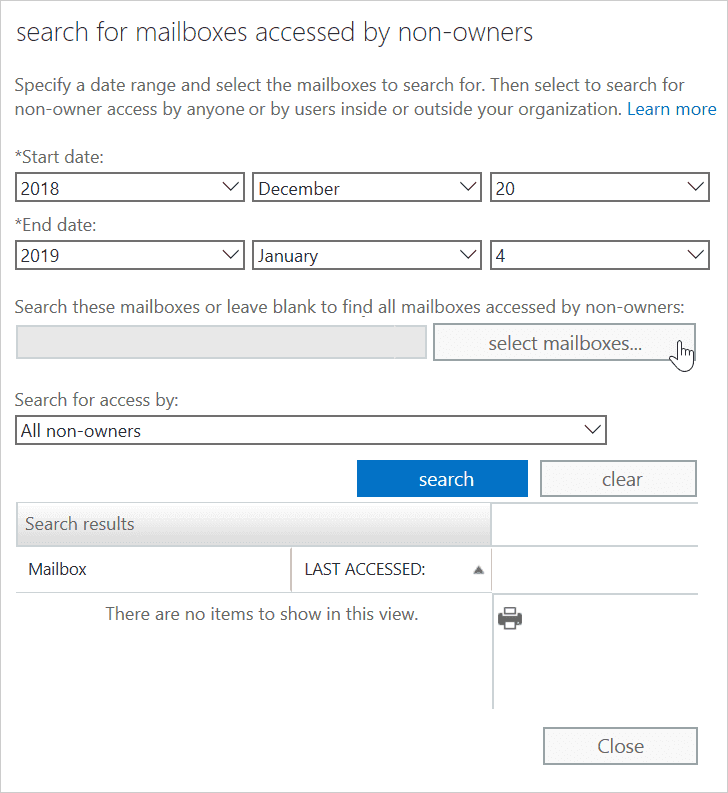 Set the search criteria in the ‘search for mailboxes accessed by non-owners’ dialog window, like start and end date. Click search to run the report. 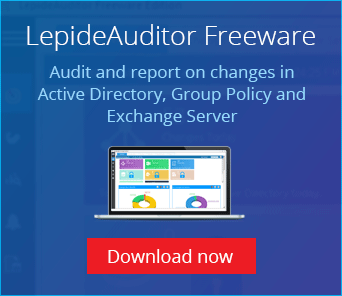 If you need an easier way to detect shared mailbox access in Exchange Online or audit Office 365 in general, come and take a look at LepideAuditor. It will help to overcome the limitations of the above native method by automating much of the process and allowing you to continuously audit and monitor changes.